Valtteri Bottas has denied signing a pre-contract with Ferrari, saying he was amused by some of the speculation about his Formula One future. "I saw some and heard plenty of stories and it's sometimes quite funny to hear those because in the end you know what's the case and what's not," the Williams driver told reporters at the Spanish Grand Prix on Thursday. "There's a lot of people making up stuff. The fact is that at the moment I am just focusing on this season and getting the maximum for us as a team. Then the rest I don't know yet," added the Finn. Finnish and Italian media have reported rumours suggesting Bottas had an agreement with Ferrari, who have 2007 champion Kimi Raikkonen out of contract at the end of this season, for 2017 if not 2016. 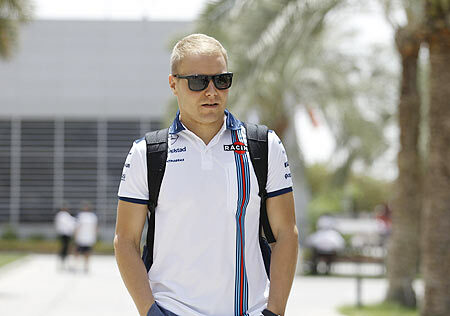 Asked directly whether he had signed any such pre-contract, Bottas said that was not the case. The Finn, who will also be out of contract at the end of 2015, has become one of Formula One's hot properties after finishing fourth overall last season with six podium appearances. "There has been always many kind of rumours so I'm not really thinking about those," said the 25-year-old. "That's for my management to think about. "At the moment I am not thinking about any move." Mercedes motorsport head Toto Wolff, who is also a Williams minority shareholder, is part of the management team along with Didier Coton, who has worked with Lewis Hamilton and Bottas's mentor Mika Hakkinen. Asked whether he was talking to Williams about an extension, Bottas said he was leaving everything to his management. "I am sure they have some kind of plan for my career, for years ahead," he added. "If they have something solid for sure they will speak with me but at the moment we haven't spoken about the future. "We are not yet at that point. We want to win here at Williams, we have big plans for the future and the team has invested a lot in great people. We made a massive jump from 2013 to 2014," he added. "If we keep the development going I think we can again be strong at the end of this season." Former champions Williams are currently third overall, the position they finished in last year, after reversing a decade of decline.